NASHVILLE, Tenn. (August 4, 2016) – In celebration of the August 12 release of his albumKINDA DON’T CARE, Justin Moore is teaming up with Waffle House® Restaurants for a multi-month celebration nationwide. During his KINDA DON’T CARE release week, Moore will make appearances “Under the Yellow Sign” at the iconic restaurant chain following a series of album launch concert events in select markets the week of August 15 (8/15-8/19). Follow@JustinColeMoore and@WaffleHouse on Twitter for tips on where he may stop. The restaurant will spotlight Moore on in-store posters and promote the new album across their network of iconic TouchTunes jukeboxes. As a special bonus, music fans who play any Justin Moore song on the jukebox using the TouchTunes app will receive two free credits. In addition, a lucky fan and a guest will win a flyaway sweepstakes to attend a 2017 Justin Moore concert and hang with him afterwards at Waffle House. Beginning today, fans can go towafflehouse.com/justinmoorefor details on how to enter. Moore has been previewing tracks all summer on the TAKE IT OUTSIDE TOUR, giving fans a sneak peek to his highly-anticipated fourth studio album. Fans who preorder the album will receive “Kinda Don’t Care” and “Robbin’ Trains” as instant tracks today. For a taste of what the album will entail, fans can view an inside look into the making of the album available atvevo.com/artist/justin-moore. The clips kick off a string of videos, which will be released in conjunction with the instant grat tracks, building anticipation for the platinum-selling singer’s forthcoming project. 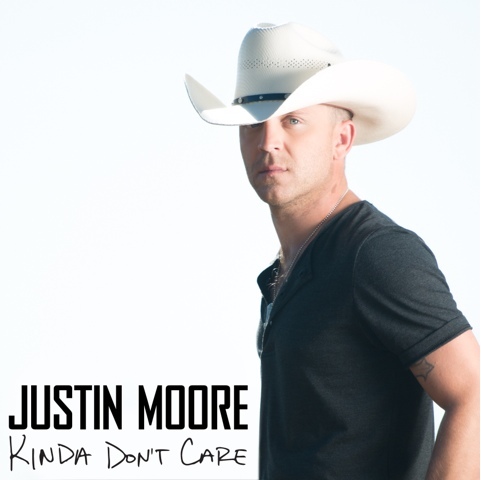 Moore holds a host of accolades under his belt and signature white hat: Gold-certified JUSTIN MOORE(2009); Gold-certified #1OUTLAWS LIKE ME (2011) and #1 OFF THE BEATEN PATH (2013). With five #1 songs, six Top 10 singles and a 2014 ACM New Artist of the Year nod, Moore is poised to produce another top-selling album, as his catchy first single “You Look Like I Need A Drink” previews.